If you want to participate in a workshop, make sure to sign up ahead of time! Enjoy a day of fun for the whole family. This month’s theme is green living. Keep checking back for more information! 2PM – Special performance! “Order to Go” is a fun show focusing on the environmental impact of single-use take out containers and utensils! “OBON is a traditional event to honor and express gratitude to the spirits of our ancestors, those before us who provided us with the gift of life. 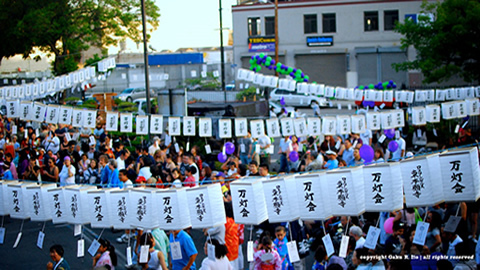 The Obon Festival is held as a celebration of the return of the spirits of our ancestors. The festival features delicious food, games, farmers market, flower market, tea ceremony demonstrations, traditional Bon Odori Dancing, and taiko drummers, musical groups, and plenty of entertainment all day. Entertainment – The 2011 entertainment lineup will include happyfunsmile, Local Mojo, hereandnow, TAIKOPROJECT and many others.